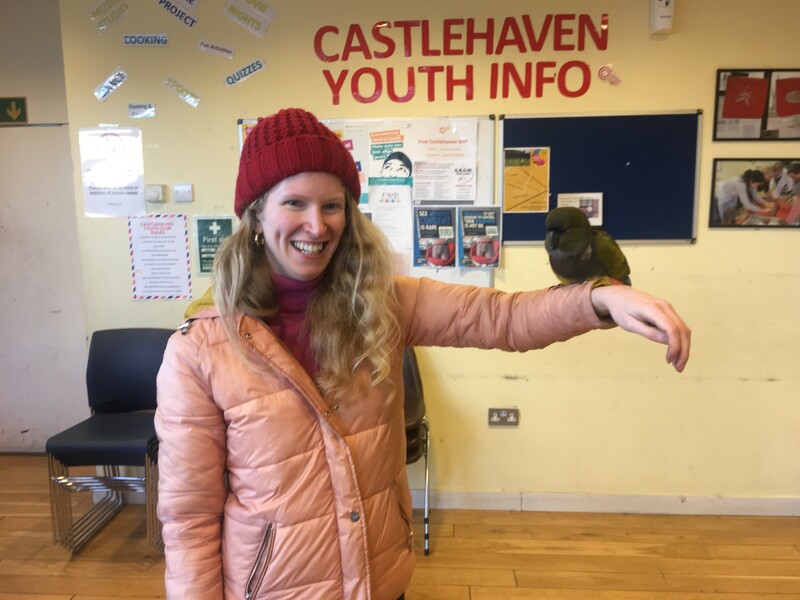 Last Thursday Castlehaven had a very special visitor. Our Environmental Engagement Coordinator Nichola discovered a slightly dazed but happy parrot on top of the Horticulture Hub. The friendly bird took some encouragement but eventually came down when offered some berries. We then calmly transported the bird back to The Haven. Staff and visitors enjoyed getting to know the sociable creature who sat on several shoulders. We contacted the RSPCA who came and took the bird to their animal hospital in Putney. We were informed that the parrot was in a very healthy condition thanks to the good care it must receive from its owner. 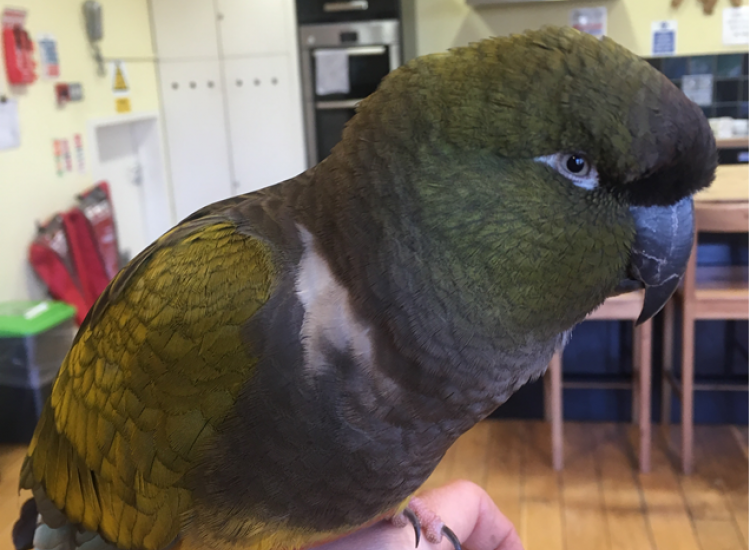 If you have lost a parrot, or know someone who has, then please contact us on 0207 485 3386 or email info@castlehaven.org.uk.